Last week as a CoL we all attended the Manaiakalani Hui held at the Panmure Yacht Club. 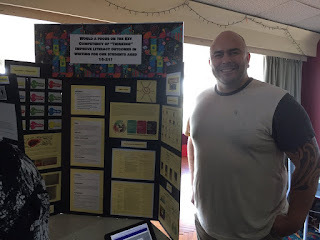 It was a chance for all CoL teachers to present there inquiries in the style of a science fair display. It was a great opportunity to walk and around a view all the other teachers progress so far. For me I really enjoyed the conversation I had with mainstream teachers around the types of literacy activities I was using with my students and how I keep them motivated to write. It was great to hear other teachers facing the same difficulties as myself but more importantly being able to share ideas about how to overcome these shared challenges.